Zions Bancorporation has decided to implement D3’s digital banking platform across its seven independently branded-affiliates. By leveraging D3’s platform, Zions expects to boost efficiencies and reduce complexities in the back office, the vendor explains, and also to provide customers with a unified, intuitive experience across the digital channels. The bank says it previously leveraged separate online and mobile banking applications, resulting in an experience that wasn’t optimally consistent. After a due diligence process, Zions selected D3 for its modern architecture and flexibility, the vendor explains. “Transitioning to D3’s advanced digital platform will streamline once disparate channels, adding efficiencies and allowing us to offer a more seamless, personalised experience to our customers on whichever device they choose to conduct banking business,” explains Jeff Gardner, SVP of digital banking products and strategy at Zions. 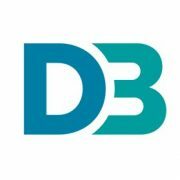 “With D3, we expect to be able to increase the speed at which we deliver products and services to our customers, which is especially important in today’s rapidly changing technology landscape,” he adds. Once live on the platform, Zions expects to better know its customers and anticipate their needs with timely and relevant offerings. Zions also plans to use D3’s cloud-based microservices and advanced SDKs to more rapidly innovate and keep pace with modern customer expectations. At the back office, Zions has been working on a large-scale project to standardise on the TCS Bancs core banking system, supplied by India-based TCS Financial Solutions.